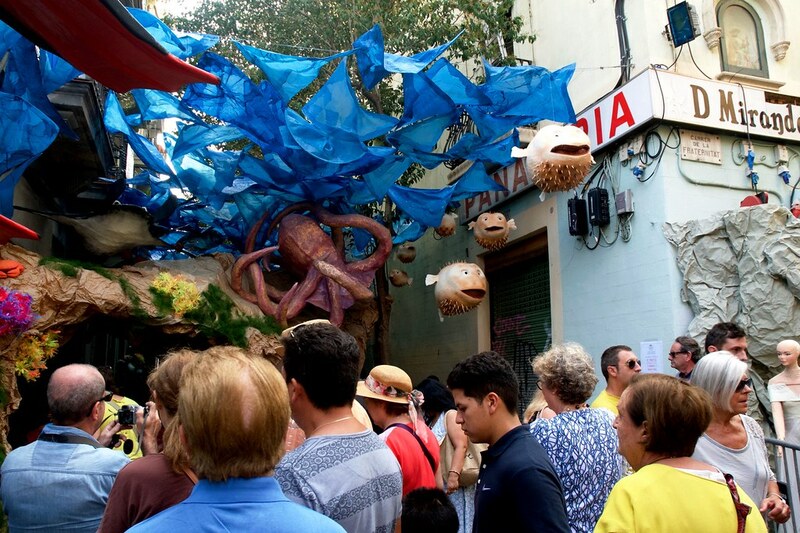 Every August, the district of Gràcia in Barcelona celebrates its festivities during eight days. 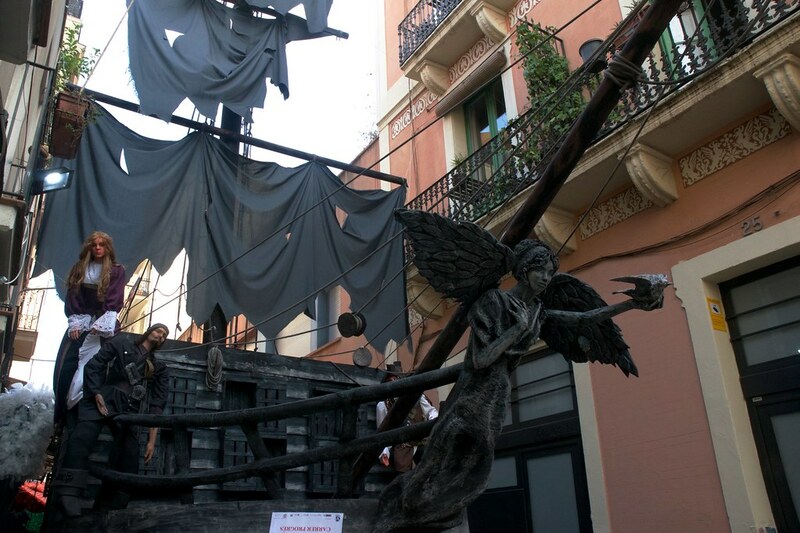 Dozens of activities, traditions like castellers and concerts take place in the popular district. 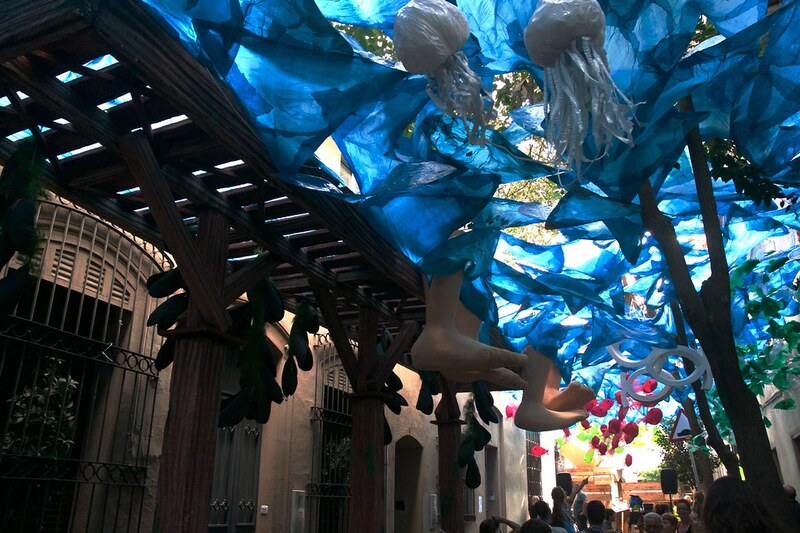 Being the largest neighborhood festival in Barcelona, is the residents that lives in Gràcia that every year come up with new ideas to decorate their streets, in a neighborhood contest for the best street. 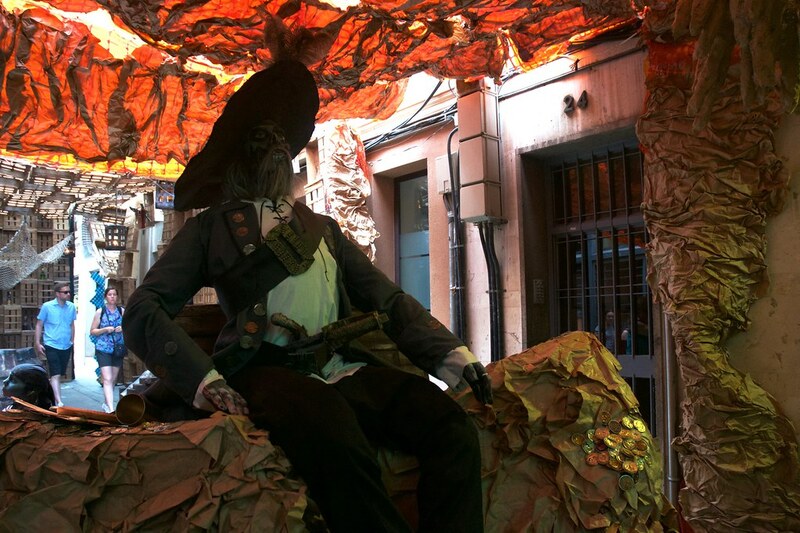 When it wis still an independent town from Barcelona, the Festa Major de Gràcia began in 1817 and becoming one of the most popular of every year in barcelona. 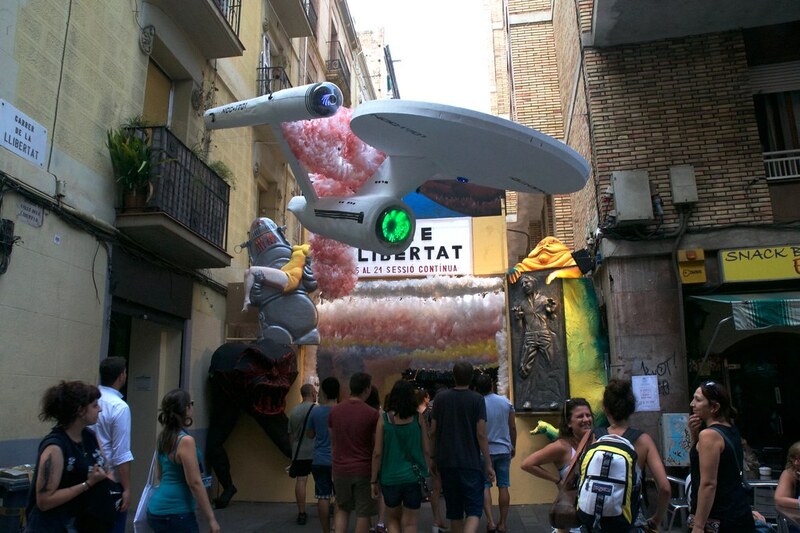 Carrer de la Llibertat, space cinema theme decoration. 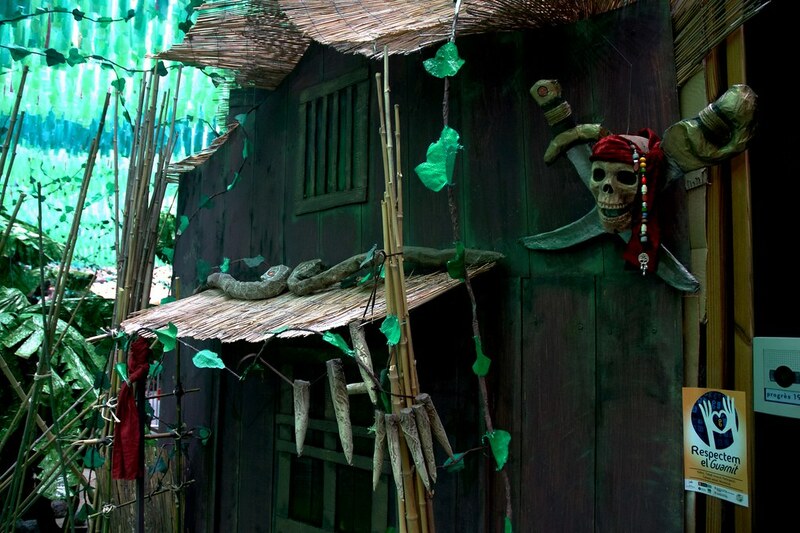 The themes vary every year and the neighbors unite and compete for the best decorated street. 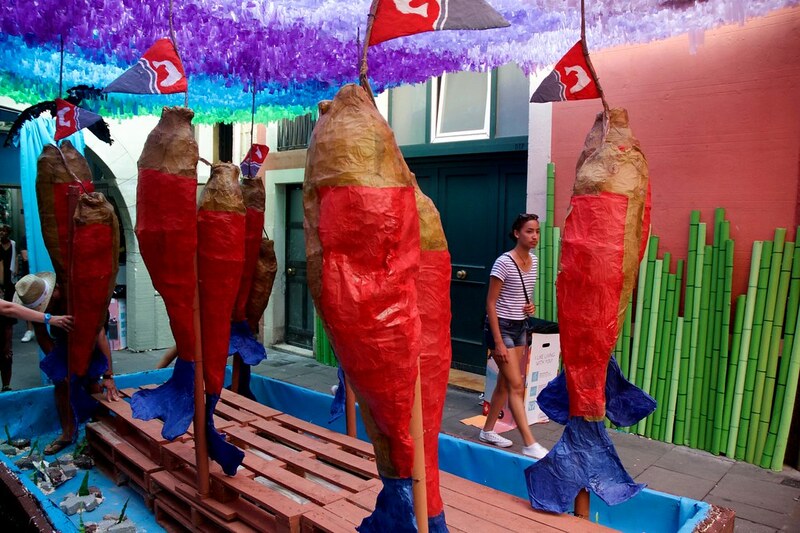 Many of the streets this year selected their themes based on cinema and sea themed decorations. 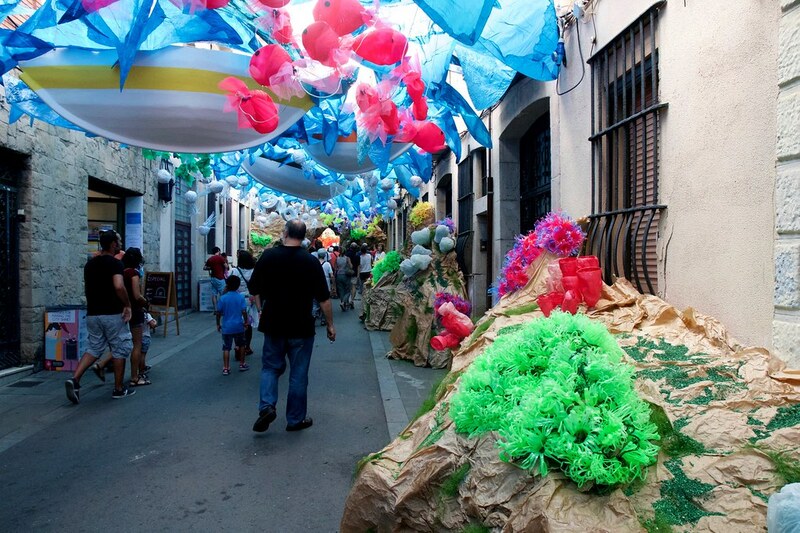 In case you come to Barcelona in August, check out the program at Festa major de Gràcia. 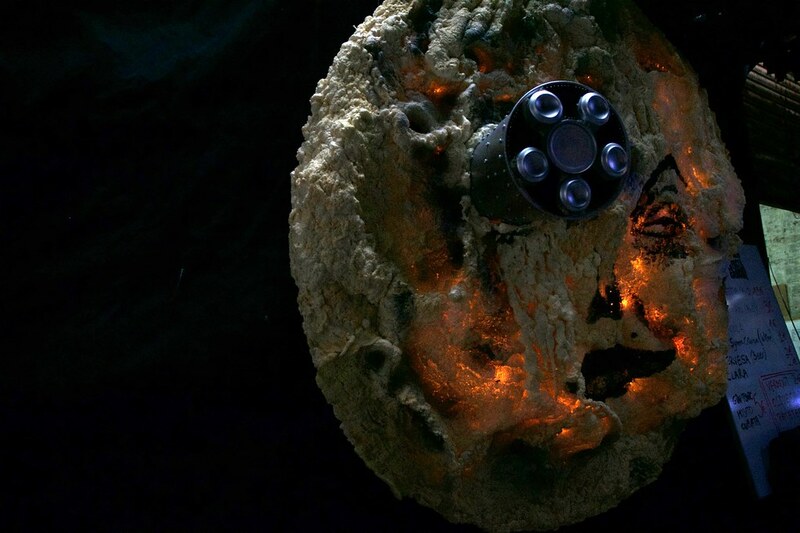 The Iron throne in Barcelona. 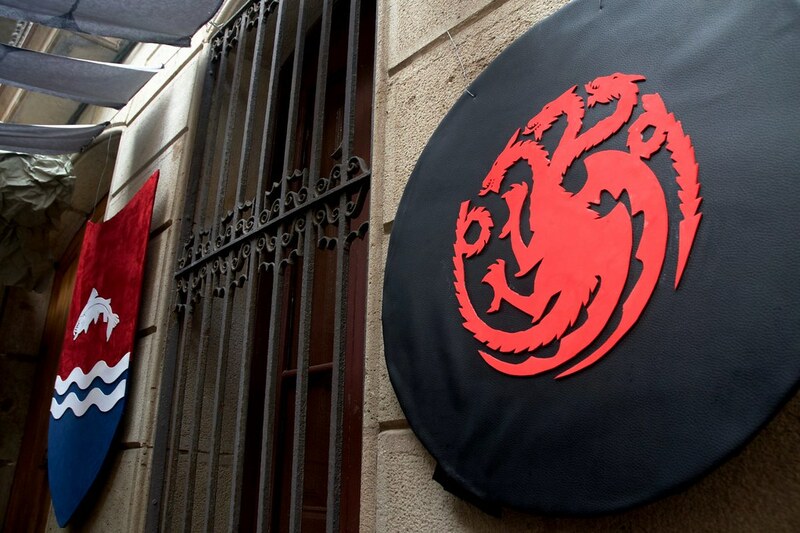 House Targaryen was in Gràcia. 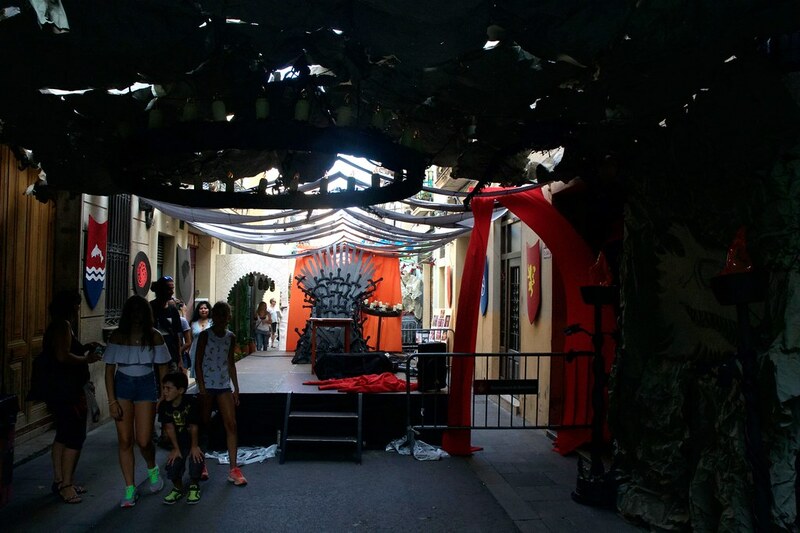 House of Tully, Game of Thrones decoration in Gràcia. 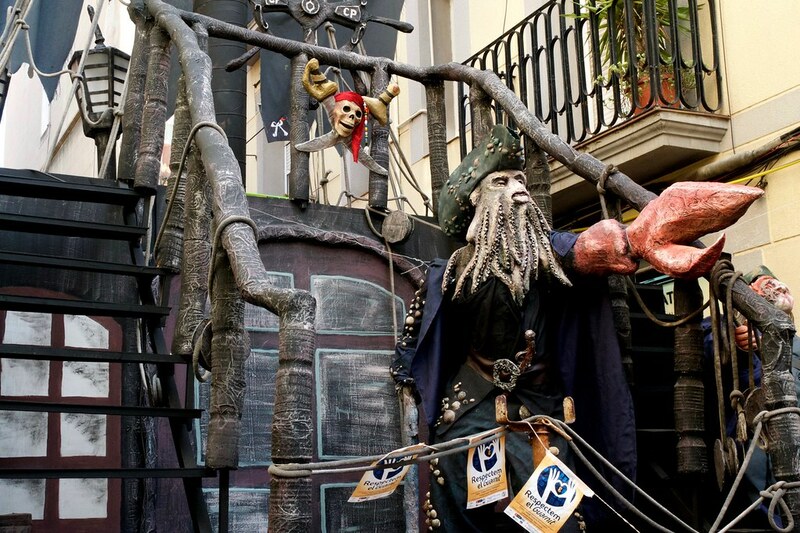 Pirates of the Caribbean decoration, Gràcia. 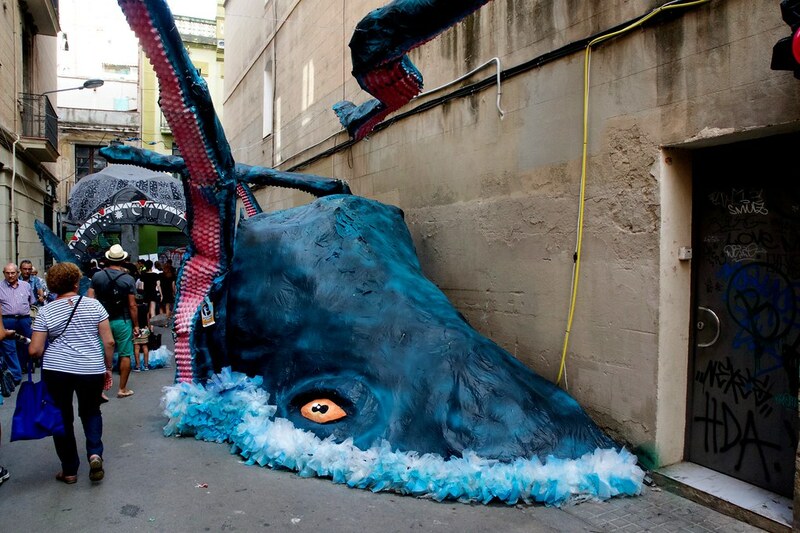 Kraken in the streets of Gràcia, Barcelona. 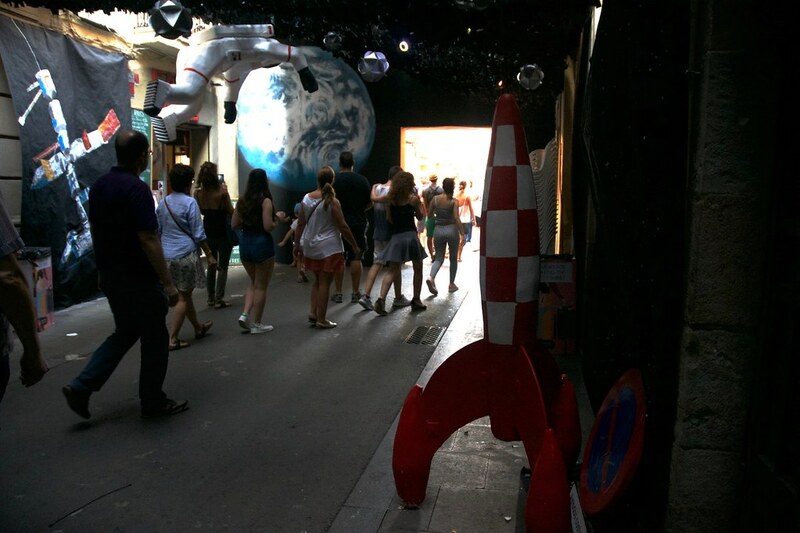 Space cinema themed decoration, Gràcia. 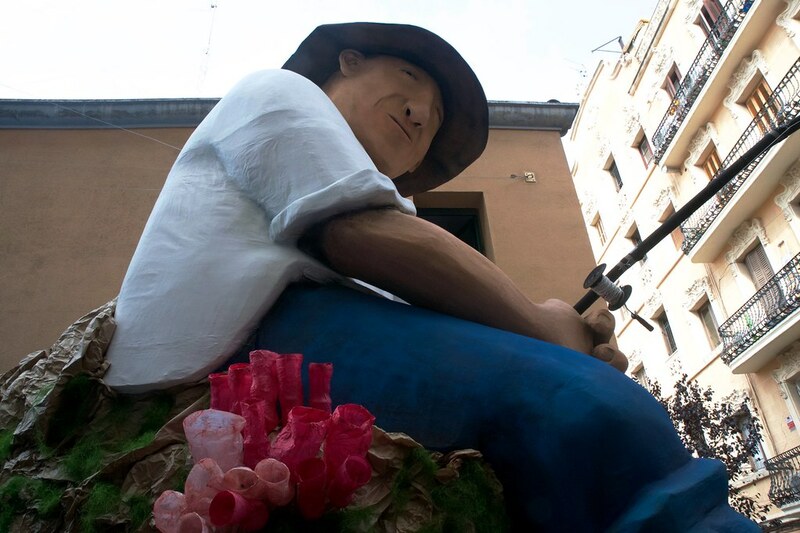 Giant Fhiserman in Gràcia district. 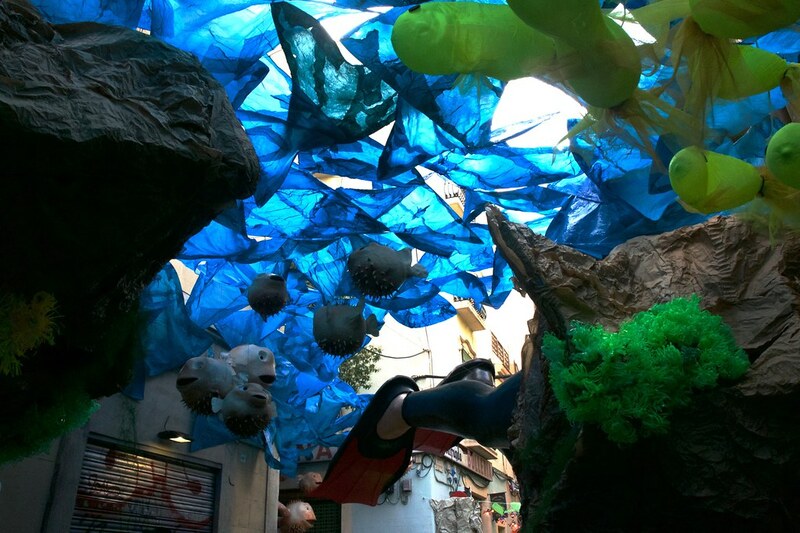 Sea themed streets of Gràcia.